Kauna is the local name for a reed or rush which is cultivated in the wetlands. 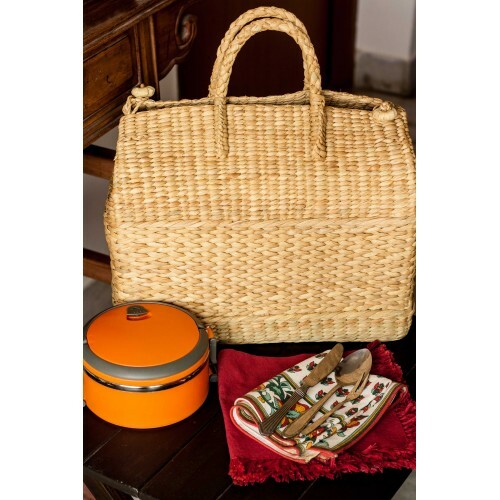 It has a cylindrical, soft and spongy stem which is woven into mats,cushions and mattresses.The basket comprises of finely woven Kauna grass and two small knobs for closing purpose. Extremely stylish, washable and sun dried, less maintenance required.